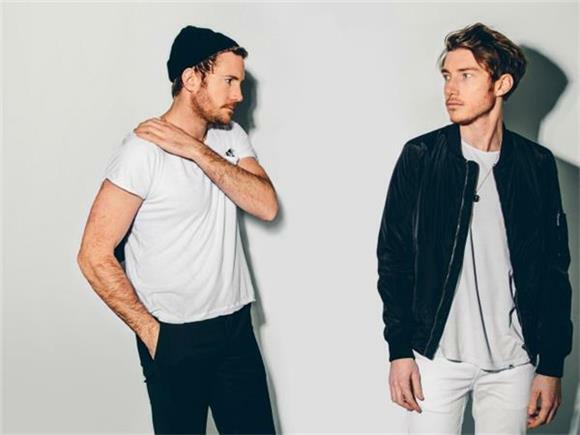 Fenech-Soler's music draws on all different genres. In their recent track "Kaleidoscope," you'll hear modern electropop, retro synth influences, and alternative and indie rock elements. The song sits somewhere between 80s pop, early 2000s indie, and contemporary Top 40 radio play, keeping a good distance from each extreme. Singer Ben Duffy's register is about as high as it gets, including a falsetto that hits a euphoric chorus and soars over the energy of futuristic synth riffs. The lyrics move through the waves of emotion that come with crazy love, something with enough energy to inspire this high-strung track. Just like a kaleidoscope, this collage of sound and lyrics brings on a buzzing sort of enjoyable confusion. Duffy sings, "the more I see the less I know." Maybe a cliche, but one that applies beautifully to the frenzied sound that Fenech-Soler has created. That unique sound shines on "Kaleidoscope," with the group's myriad influences all playing a part. Fenech-Soler has also released a dreamy, surreal video to go along with the song and the Kaleidoscope EP is out now.